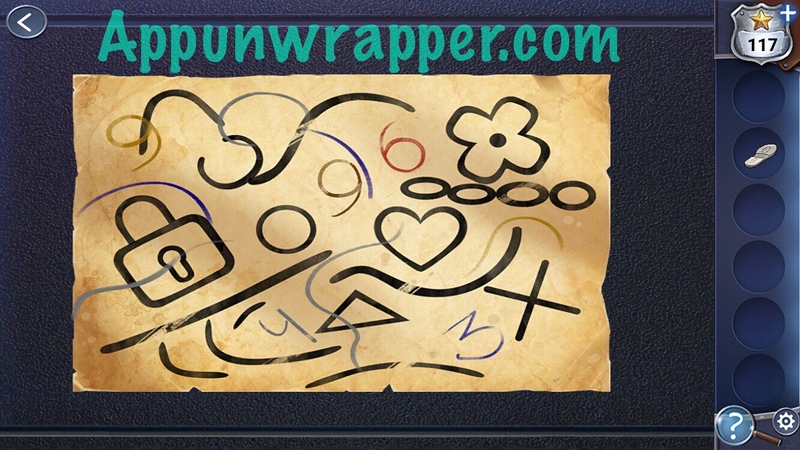 Haiku Games is back with another Adventure Escape game! 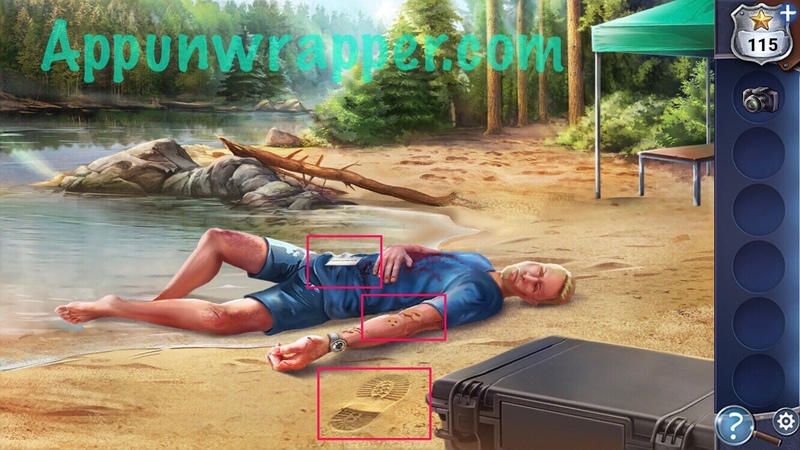 This is the sequel to Trapmaker and is called Trapmaker 2 – Tracing the Past. In the first game, we discovered that Frank Dietch is the Trapmaker! Will Detective Kate Gray finally catch him after he got away? Let’s find out! This walkthrough guide will help you with answers and solutions for all the puzzles. Feel free to ask for extra help in the comments section. 1. 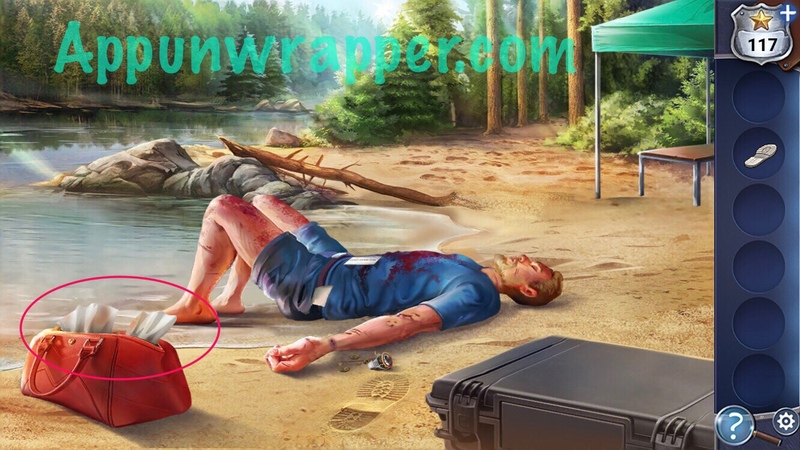 You’re at a crime scene on the beach. You need to take photos of three pieces of evidence. First, pick up the camera. 2. Now, use the camera to take photos of the footprint, the business card that says COUNTY DISTRIBUTORS, and the animal bites on his arm. 3. Head over to the tent. Move the mound of sand to find some coins. Pick them up, along with the plaster powder. Notice the instructions on the fridge about how to make plaster. 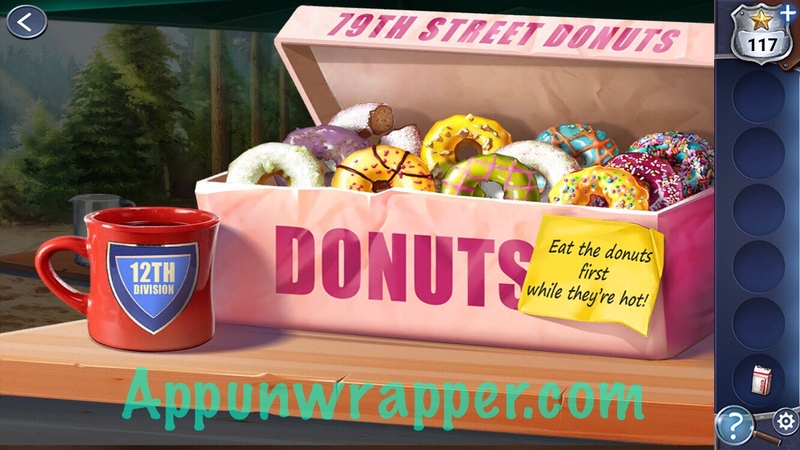 Also, zoom in on the donuts and notice the box says 79TH STREET DONUTS and the sticky note says EAT THE DONUTS FIRST WHILE THEY’RE HOT. The mug also says 12TH DIVISION on it. 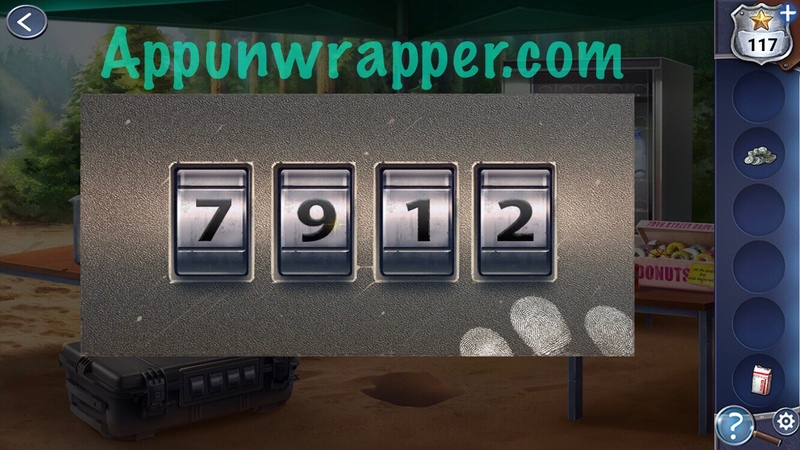 So, the clues together are telling you that the code is 7912. 4. 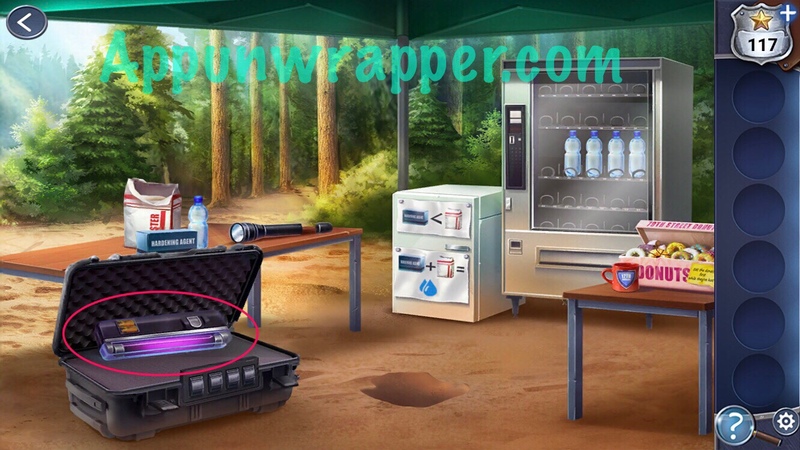 Use the code 7912 to open the locked case. Take the Luminol and gloves from inside. We need batteries for the UV light. Also, put the quarters in the vending machine to get a bottle of water. 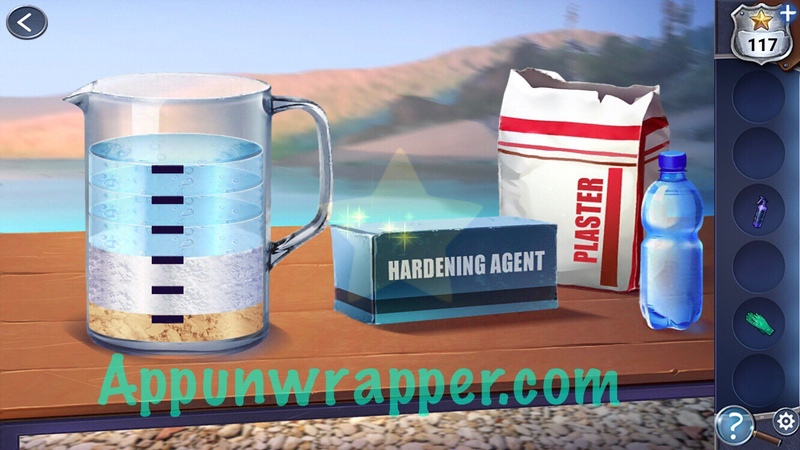 Add 1 part hardening agent, 2 parts powder, and 3 parts water to the measuring cup. Pick up the plaster you made. 6. Go back to the body. Pour the plaster in the footprint to make a mold of it. Pick it up. Also, use the gloves to examine the body and reveal something in his pocket. And last, spray Luminol on him. We still need the UV light though. 7. Tap on the scrap of paper in his pocket. It’s a puzzle! Put it together. 8. 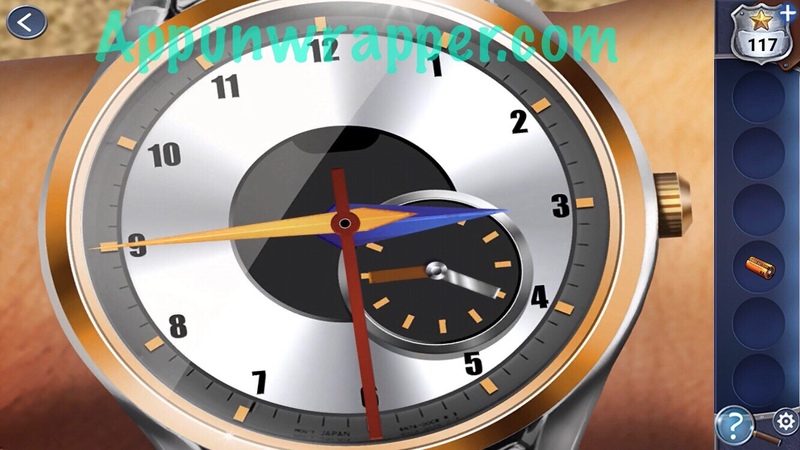 Tap on his watch and use the clues from the note to figure out how to set the watch. You want the yellow hand on 9, red hand on 6, blue hand on 3, brown hand on 9, and silver hand on 4. 9. There’s makeup under the watch. Take the wipes from the makeup bag and use them to remove the makeup from his arm. 10. Tap on the footprints near the tent for another puzzle. 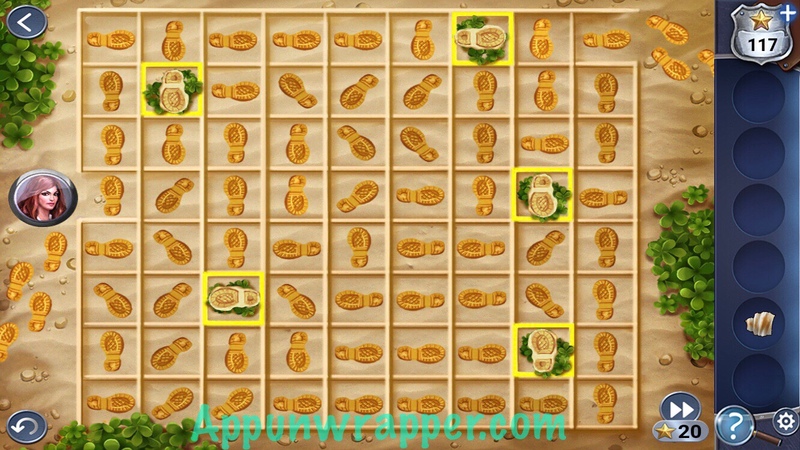 Use the footprint mold you made with the footprints on the ground to compare them. Then, rotate each of the footprints in the bushes to make a path that uses all the footprints only once. When you’re ready, tap on Kate to have her try walking the path. It leads to a garbage can! 11. 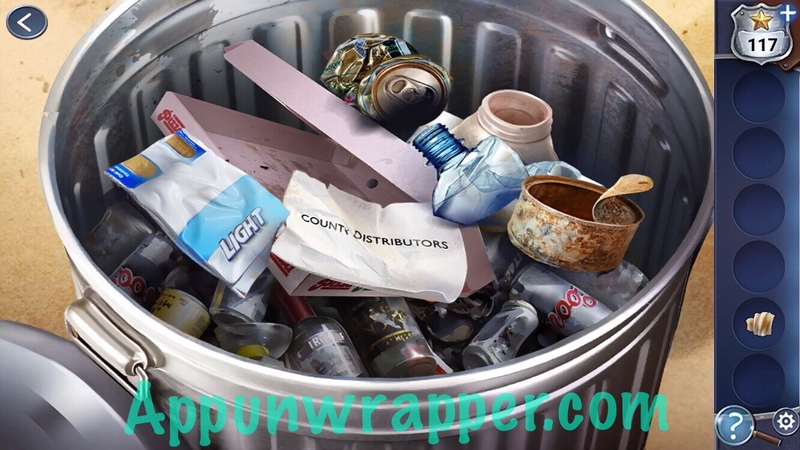 Go through the trash to find another COUNTY DISTRIBUTORS business card. Then take the battery from underneath. 12. Go back to the tent. Place the wipe covered in makeup in the evidence fridge. Then take the hairpin. 13. Use the hairpin to open the flashlight and take the battery. 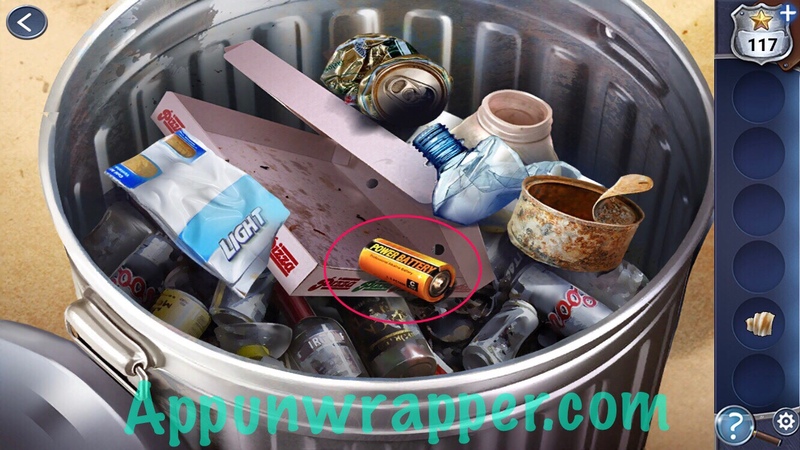 Then use both batteries in the UV light and pick it up. 14. 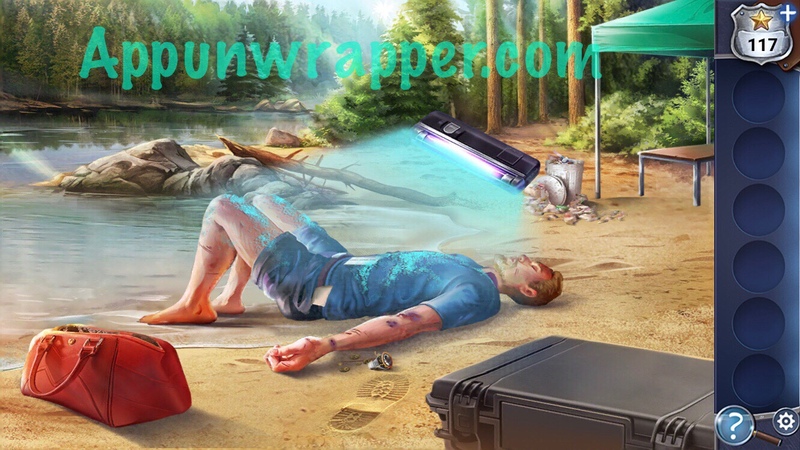 Go back to the body and shine the UV light on it to complete the chapter. That’s all for Chapter 1! Click here to continue to Chapter 2 or choose a chapter below.